Onion seeds (kalonji): 1/4 tsp. First I made the rajma masala powder because I don't like store brought ones. So add the whole spices: cloves, cinnamon, green cardamom, coriander seeds, peppercorns, star anise in a mortal-pestle and grind it to a rough powder. Keep aside. Heat oil and crackle shahi jeera and onion seeds. Add the bay leaf and dried red chilli. Add the onions after about half a minute and let cook until the onions are turning brown. This step takes time, will be done on medium flame and if skipped will not give the wonderful flavour to the final dish. Add the crushed garlic and again cook for about 5 minutes. Then add tomatoes, green chilli and ginger. Add salt and mix well, cook until the tomatoes are soft and mushy. Add red chilli powder, turmeric powder and the rajma masala in step 1. Mix everything and fry for another minute. Add the yoghurt and add little left over water from boiling the rajma to this mix. 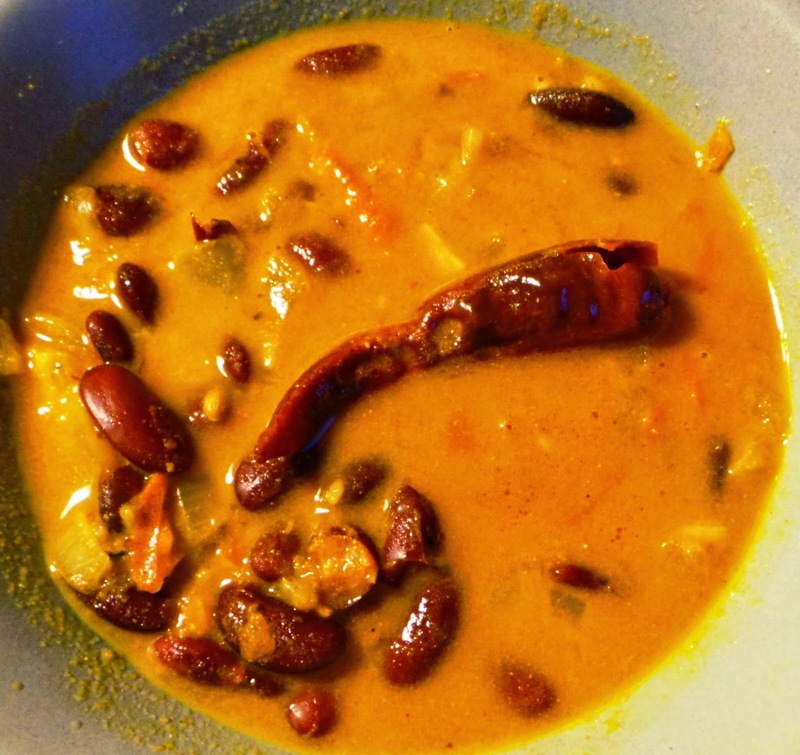 After about 2 minutes, add the boiled rajma without any water. Mix and let cook on medium flame for another 5-7 minutes. Now transfer this whole mix to a pressure cooker and add the required water (use the water left over from boiling the rajma). Let cook on low-medium flame for about 30 minutes. This will deliver a wonderful result, and the curry will gradually thicken, infusing all the flavours inside. 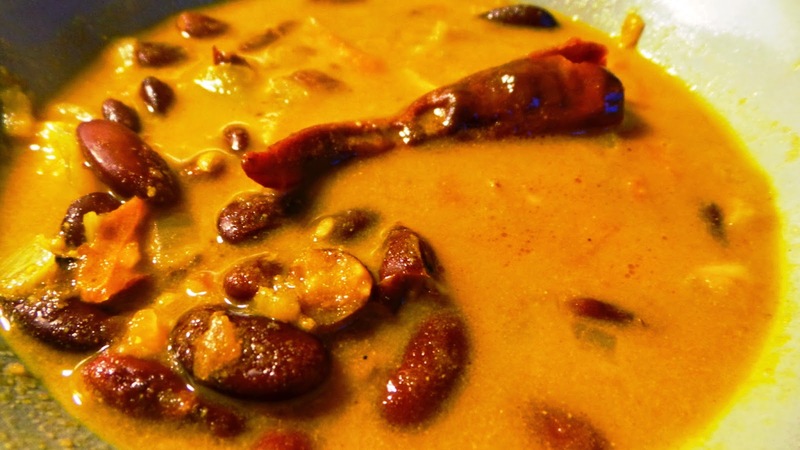 In between, stir and press with the stirring spoon to lightly mash some of the rajma beans to impart the thickness and texture. After 30 minutes, turn off the flame, sprinkle garam masala and cover. After 15 minutes, remove the lid, mix and serve piping hot.. with of course rice !!! Enjoy !